White Wooden Hanging Arrow "Wedding"
White Wooden Hanging Arrow "Party"
Announce the entrance of the star of the show with this banner. It's a pretty addition to wedding supplies that complements any theme.  Material: Cotton.  Size: 12" x 24" with 8 1/2" satin cord. Cardboard Wedding Reception show the way Sign. 14 1/2 inches with a 15 inches plastic stake. 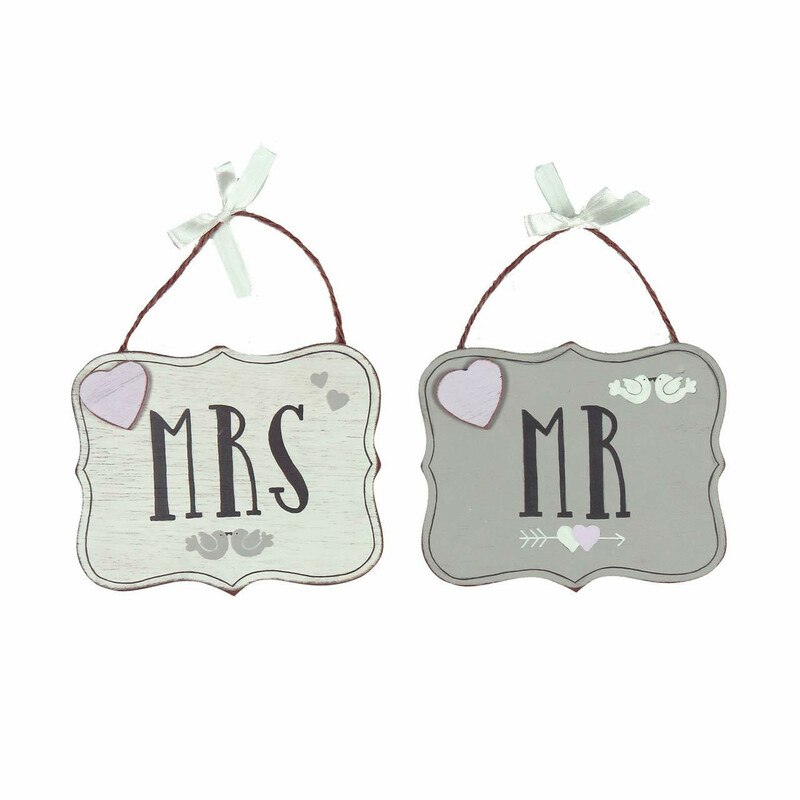 Amore MDF Plaque With Crystals 28cm x 16cm Mr. And Mrs.
Amore MDF Plaque with Crystals 28cm x 16cm - MR. & MRS.